What are Anti- Wrinkle Injections? Anti-wrinkle injections, are one of the most popular anti aging procedures performed around the world, providing a solution for light to medium depth facial lines. The treatment works by injecting a muscle relaxant into the problem area, blocking nerve signals and reducing muscular contraction. The result is a perfectly smooth, refreshed and youthful appearance. The most popular areas that are targeted include the forehead, glabella (frown lines between the eyebrows) and crow’s feet. Injections can also be performed on sagging jowls, the jawline, neck area and excessive areas of sweating, namely the underarms. The injections are completely safe and may be performed in as little as twenty minutes, with results lasting for an average of three to four months. Unlike many other cosmetic clinics, our point of difference from many other cosmetic procedure providers is that our anti wrinkle injections are administered by a qualified and experienced Doctor. Dr D’Souza who has extensive experience and training in providing exceptional medical care, meaning you can have a peace of mind when you choose us for your cosmetic procedure. Wrinkle reduction injections are simple, nonsurgical and medically administered procedures that can temporarily smooth moderate to severe lines and wrinkles. The injection is comprised of a complex protein that is produced by the Clostridium Botulinum bacterium, and is the only treatment of its type approved by the Food and Drug Administration (FDA). It has also been safely used for the past twenty years to treat conditions such as eye spasms and central nervous disorders. As a cosmetic procedure, anti wrinkle injections have been used safely and effectively in Melbourne for the past ten years. They can also be combined with Dermal Fillers to further improve the appearance of the skin. 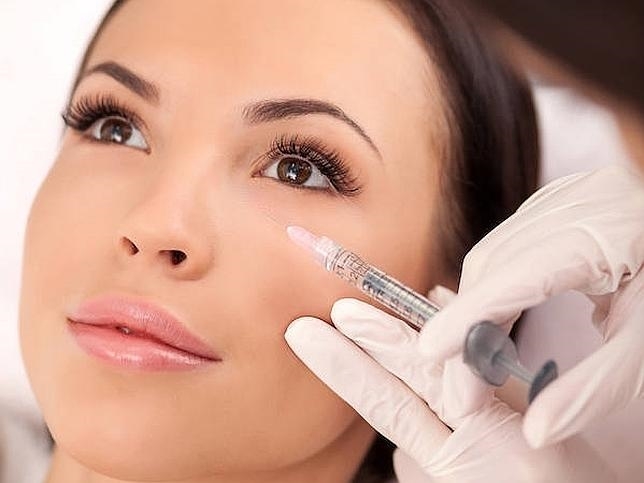 Anti-wrinkle injections have minimal downtime, with the best results being seen about two weeks afterwards, making it the ultimate non-surgical anti aging procedure. The injections are delivered where desired most. The goal is to weaken and relax – not paralyse – the muscles that cause wrinkles to appear, resulting in a natural soft look. A fine-gauge needle is used and the number of anti-wrinkle injections required varies depending upon what part of the face is being treated. To treat the fine lines and wrinkles surrounding the eye, commonly referred to as the crow’s feet, up to three injections are administered. To treat forehead lines, a few more tiny injections may be required. The results of an anti-wrinkle injection are very dramatic, with the appearance of lines remarkably reduced, especially when smiling. Other areas of the face such as the laugh lines, the folds in the area between the nose and lip, unwanted horizontal lines on the neck, and chin creases have also been treated. These areas, however, are treated less frequently. It is not uncommon to experience some bruising around the injection site. Ice packs can be applied before and after treatment to help minimise this problem. This amazing treatment can reduce or eliminate wrinkles without surgery. It is a unique procedure that produces dramatic results, has few side effects and is reversible. It can provide the solution for a more youthful appearance with minimal recovery time. How do anti wrinkle injections work? Wrinkle reduction injections are primarily used for lines and wrinkles that appear when we use our muscles repeatedly to make facial expressions. They’re used to relax specific facial muscles that cause expression lines which can age the face. Because the muscles are relaxed their movement is restricted, preventing future undesirable facial expressions which lead to lines and wrinkles. Consequently, the lines and wrinkles gradually smooth and new ones are prevented from forming. What can Anti-Wrinkle Injections correct? Anti wrinkle injections are reasonably safe when administered by a medical professional who is trained in its use. As with all treatments, side effects may occur, but most of these are mild and temporary. Slight pain, tenderness and bruising may follow a wrinkle reduction session, and in some cases a slight headache afterwards is reported, but this is uncommon. Rare complications of excessive affect such as droopy brow or eyelid or even double vision may occur. Wrinkle reduction injections should not be used on women who are pregnant or breast feeding. Wrinkle reduction procedures can last up to three to four months, but may last for a longer or shorter period as each individual case is different. Seeing your treating doctor two weeks after the initial session is advisable in order to assess its effectiveness and determine whether a top up is required. 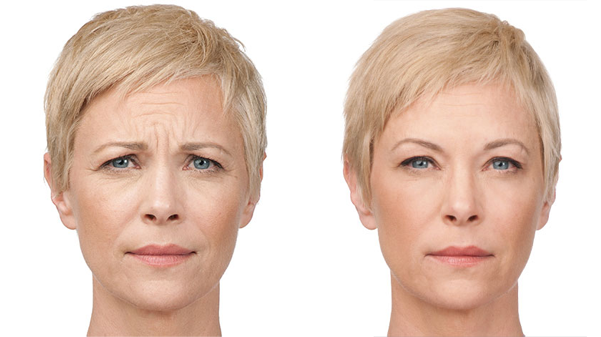 With continued use, an anti-wrinkle injections treatment can last up to six months or longer. Can wrinkle reduction treatments be used for other concerns? Hyperhidrosis – Excessive underarm sweating can be. Our injections will temporarily block the chemical signals from the nerves that stimulate the sweat glands. When the sweat glands don’t receive chemical signals, the sweating stops. Contrary to what you might think, your sweat will not go anywhere or get backed up because it’s simply not produced in those areas. Migraines and tension headaches – We know how debilitating migraines and tension headaches can be. Wrinkle reduction product injected into the forehead, side and back of the neck block chemical changes to the nerve endings, causing the muscles to be too weak to contract therefore reducing tension and migraines. If you are considering wrinkle reduction injections as a remedy to the above, it is best to first consult your medical practitioner to see if this is the right treatment for you. How is wrinkle reduction treatment performed? First of all, each procedure is carried out by a qualified medical. We will assess the area being treated by asking you to frown or smile, gauging muscle movement and determining where the injection will be administered. Our doctor will then inject the treatment into the area with a fine needle. Anti wrinkle injections can take as little as ten to twenty minutes to perform, as it is a nonsurgical procedure. Do wrinkle reduction treatments hurt? Many clients have said that it feels like an insect bite, with others feeling no discomfort at all. No recovery time is needed afterwards, and our clients are able to get back to work or most other activities right away. We aim to provide the finest of primary medical care to our valued patients in a bright, friendly and relaxed environment. We aim to treat you with the dignity, respect, kindness and courtesy that you deserve. © 2017 Hallam Medical Group | All rights reserved.